Nickname: "The Defender of London" "Skipper"
Air Chief Marshal Sir Keith Rodney Park GCB, KBE, MC & Bar, DFC, RAF (15 June 1892 - 6 February 1975) was a New Zealand soldier, First World War flying ace and Second World War Royal Air Force commander. He was in tactical command during two of the most significant air battles in the European theatre in the Second World War, the Battle of Britain and the Battle of Malta. In Germany, he was known as "the Defender of London". Park was born in Thames, New Zealand. He was the son of a Scottish geologist for a mining company. An undistinguished young man, but keen on guns and riding, Keith Park was educated at King's College, Auckland until 1906 and then at Otago Boys' High School, Dunedin where he served in the cadets. Later he joined the Army as a Territorial soldier in the New Zealand Field Artillery. In 1911, at age 19, he went to sea as a purser aboard collier and passenger steamships, earning the family nickname skipper. When the First World War broke out, Park left the ships and joined his artillery battalion. As a non-commissioned officer he participated in the landings at Gallipoli in April 1915, going ashore at Anzac Cove. In the trench warfare that followed Park's achievements were recognised and in July 1915 he gained a commission as second lieutenant. He commanded an artillery battalion during the August 1915 attack on Suvla Bay and endured more months of squalor in the trenches. At this time he took the unusual decision to transfer from the New Zealand Army to the British Army, joining the Royal Horse and Field Artillery. Park was evacuated from Gallipoli in January 1916. The battle had left its mark on him both physically and mentally, though, later on in life, he would remember it with nostalgia. He particularly admired the ANZAC commander, Sir William Birdwood, whose leadership style and attention to detail would be a model for Park in his later career. After the hardship at Gallipoli, Park's battalion was shipped to France to take part in the Battle of the Somme. Here he learned the value of aerial reconnaissance, noting the manner in which German aircraft were able to spot Allied artillery for counter-fire and getting an early taste of flight by being taken aloft to check his battalion's camouflage. On 21 October 1916, Park was blown off his horse by a German shell. Wounded, he was evacuated to England and medically certified "unfit for active service," which technically meant he was unfit to ride a horse. After a brief remission recovering from his wounds, recuperating and doing training duties at Woolwich Depot, he joined the Royal Flying Corps (RFC) in December 1916. In the RFC Park first learned to instruct and then learned to fly. After a spell as an instructor (March 1917 to the end of June) he was posted to France and managed a posting to join 48 Squadron, at La Bellevue (near Arras), on 7 July 1917. Within a week the squadron moved to Frontier Aerodrome just east of Dunkirk. Park flew the new Bristol Fighter (a two-seat biplane fighter and reconnaissance aircraft) and soon achieved successes against German fighters, earning, on 17 August, the Military Cross for shooting down two "out of control" and damaging a fourth enemy during one sortie. He was promoted to temporary captain on 11 September. After a break from flying he returned to France as a major to command 48 Squadron. Here he showed his ability as a tough but fair commander, showing discipline, leadership and an understanding of the technical aspects of air warfare. By the end of the war the strain of command had all but exhausted Park, but he had achieved much as a pilot and commander. He had earned a bar to his Military Cross, the Distinguished Flying Cross and the French Croix de Guerre. His final tally of aircraft claims was five destroyed and 14 (and one shared) "out of control". (His 13th "Credit" - of 5 September 1917 - was Lieutenant Franz Pernet of Jasta Boelcke (a stepson of General Erich Ludendorff)). He was also shot down twice during this period. After the Armistice he married the London socialite Dorothy "Dol" Parish. After the War, Park was awarded a permanent commission as a captain in the Royal Air Force and when the new RAF officer ranks were introduced in 1919, Park became a flight lieutenant. He served as a flight commander on No. 25 Squadron from 1919 to 1920 before taking up duties as a squadron commander at the School of Technical Training. In 1922 he was selected to attend the newly formed RAF Staff College. Later on Park commanded RAF stations and was an instructor before promotion to Air Commodore and an appointment as Senior Air Staff Officer at Fighter Command under Air Chief Marshal Sir Hugh Dowding in 1938. Promoted to the rank of air vice marshal, Park took command of No. 11 Group RAF, responsible for the fighter defence of London and southeast England, in April 1940. He organized fighter patrols over France during the Dunkirk evacuation and in the Battle of Britain his command took the brunt of the Luftwaffe's air attacks. Flying his personalised Hawker Hurricane around his fighter airfields during the battle, Park gained a reputation as a shrewd tactician with an astute grasp of strategic issues and as a popular "hands-on" commander. However, he became embroiled in an acrimonious dispute with Air Vice Marshal Trafford Leigh-Mallory, commander of 12 Group. Leigh Mallory, already envious of Park for leading the key 11 Group while 12 Group was left to defend airfields, repeatedly failed to support 11 Group and his Big Wing (led by Douglas Bader) often ran amok through 11 Group airspace confusing the UK's defences. 10 Group in the South West under Quintin Brand successfully supported 11 Group when required despite having far more ardous defensive duties in its own area than 12 Group. Park's subsequent objection to Leigh-Mallory's behaviour during the Big Wing controversy contributed to his and Dowding's removal from command at the end of the battle. Park was to be bitter on this matter for the rest of his life. He was sent to Training Command. Park's No. 11 Group RAF were coordinated by fighter controllers in the No. 11 Group Operations Room in the underground bunker, now known as the Battle of Britain Bunker at RAF Uxbridge. Park himself was not based in the bunker but did visit to impart his wisdom at numerous key points during the battle, along with visits from the Royal Family and Winston Churchill. Among the many air battles fought over Britain, Park personnally commanded RAF forces on several important dates; 13 August (Adlertag), 18 August (The Hardest Day) and the 15 September (Battle of Britain Day). In January 1942 Park went to Egypt as Air Officer Commanding, where he built up the air defence of the Nile Delta. In July 1942 he returned to action, commanding the vital air defence of Malta. From there his squadrons participated in the North African and Sicilian campaigns. In January 1944 he was made Air Office Commanding-in-Chief Middle East Command. In June 1944, he was considered by the Australian government to command the RAAF, because of rivalry between the nominal head, Chief of the Air Staff Air Vice Marshal George Jones and his deputy the operational head, Air Vice Marshal William Bostock, but General Douglas MacArthur said it was too late in the war to change. In February 1945 Park was appointed Allied Air Commander, South-East Asia, where he served until the end of the war. 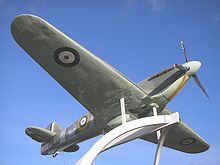 On leaving the Royal Air Force he personally selected a Supermarine Spitfire to be donated to the Auckland War Memorial Museum. This aircraft is still on display today along with his service decorations and uniform. He retired and was promoted to Air Chief Marshal on 20 December 1946 and returned to New Zealand, where he took up a number of civic roles and was elected to the Auckland City Council. He lived in New Zealand until his death on 6 February 1975, aged 82 years. -Lord Tedder, Chief of the Air Staff, February 1947. One of the top Allied air aces of the war Johnnie Johnson said of Park “He was the only man who could have lost the war in a day or even an afternoon”. Although he has not received widespread public recognition, either in Britain or his native New Zealand, Park has a claim to be one of the greatest commanders in the history of aerial warfare. The decisive tactical victories he achieved in the Battle of Britain and again at the Battle of Malta not only demonstrated his leadership qualities and deep understanding of air operations, but were both strategically significant in determining the course of World War II. There has been much analysis of the Battle of Britain and Keith Park's role over the intervening decades. Many issues on air-tactics which were not clear at the time to most in command have been researched, analysed and some clarity has been obtained through the mists of time. Keith Park though had such a clear grasp of air-strategy that even with the benefit of this hindsight from decades of research little could be done to improve on his performance. Park was made a Commander of the American Legion of Merit in 1947. Keith Park Crescent, a residential road near the former RAF Biggin Hill, is named after Park. A Southern Railway (Great Britain) West Country Class/Battle of Britain Class locomotive, no. 21C153 / 34053 was named after him in 1948. This locomotive carried Park's name and coat of arms on its side. The locomotive has survived into preservation, although it has not yet been restored to working order. The overhaul of the locomotive is now underway purely to have a memorial to Sir Keith Park. The locomotive is owned by Southern Locomotives Limited where the overhaul is taking place at their Herston Works, near to the Swanage Railway. In the film Battle of Britain (1969), Park was portrayed by Trevor Howard. Sir Keith Park is commemorated by the Sir Keith Park Memorial Airfield, the aviation section of the Museum of Transport and Technology, Auckland, New Zealand, the gate guardian of which is a replica of Park's Hawker Hurricane, OK1. The machine is not accurately painted, as it has a stripe around the rear of the fuselage in duck-egg green, which was not introduced until the spring of 1941, by which time he was commanding Training Command. In 2008, London financier Terry Smith and others initiated an international campaign to erect a permanent statue of Park on the Fourth plinth in Trafalgar Square, in recognition of his work as commander of No. 11 Group during the Battle of Britain. London Mayor Boris Johnson is on record as saying that devoting the plinth permanently to Park, while certainly worthy, might not be easy to facilitate. On 8 May 2009 Westminster City Council agreed to a put up a 2.78 m (9 ft) statue in Waterloo Place. A temporary 5 m (16.4 ft) statue was unveiled on the fourth plinth in Trafalgar Square on 4 November 2009. The fibre glass sculpture was in place for six months, until it was temporarily moved to the Royal Air Force Museum in London in May 2010. The sculpture was then moved to the Waterloo Place site and unveiled there later in 2010, on Battle of Britain Day (15 September) during seventieth anniversary commemorations of the Battle. Deighton, Len. Fighter: The True Story of the Battle of Britain. London: Jonathan Cape, 1977 (Originally published: London: Pimlico, 1996). ISBN 0-71267-423-3. Orange, Vincent. Park: The Biography of Air Chief Marshal Sir Keith Park, GCB, KBE, MC, DFC, DCL. London: Grub Street, 2000. ISBN 1-90230-461-6.